If you’ve been memorizing Scripture for very long, then you’ve probably already began to experience the amazing joy of having God’s Word hidden in your heart. After all, as we are told in John 13:17 obedience brings joy and none are more apt to obey God than they who have said with David, “I will delight myself in Thy statutes; I will not forget Thy Word.” (Psalm 119:16) It was once I personally began to realize this joy for myself that Scripture memorization became more than simply a personal part of my Christian life, but something I strongly believed every Christian with a Bible should do. Not only is it in your best interest if you desire to make your way prosperous and have good success (Joshua 1:8), but, to put it quite simply, the choice between memorizing Scripture and neglecting it is, in itself, a choice between obedience and disobedience (Deuteronomy 6:6-9). When I began to encourage others to memorize Scripture, however, I was struck with a startling realization: apparently 99% of our world's population suffers from extreme memory loss. Almost every person I speak with either is unashamedly unwilling to put forth the necessary effort, or believes their efforts would be in vain even if they did try. It breaks my heart because at one time I used to make those same excuses and I know that if they only realized what they‘re missing out on, nothing on this temporary earth could keep them from memorizing God’s eternal Word (Isaiah 40:8). What has been your experience as you’ve encouraged others to memorize Scripture? Have you discovered any particular techniques which seem to get people especially excited about Scripture? From somebody who has watched every one of his referrals go inactive, I would especially like to hear what some of our top referrers have to say and gain insight as to how you tell others about memverse. Keep in mind also that, if you’ve been trying to figure out a way to spread the word about memverse and Scripture memorization in general, you can always utilize memverse’s flyer by posting in on your church’s bulletin board or send out an email blast to your friends. And don't forget word of mouth still works pretty well, too! You can now toggle your memory verses between 'Pending' and active status by clicking on the status from the 'My Verses' page. Remember that you can filter your verses by clicking on the magnifying glass on the right, next to the 'Feedback' tab, a.k.a. the only place to ever ask for help :). I highly recommend that everyone trot over to the Account -> Profile page and update your target time. We recommend selecting one level below what you think you can manage. For instance, if you think you can manage ten minutes a day, select the 7 minutes per day setting because that will allow for the occasional missed day. We calculate the number of minutes per day to be roughly equivalent to the number of verses per day. So a setting of 10 minutes would mean you would review, on average, ten verses per day. If you don't want Memverse to automatically convert verses from 'Pending' to active status over time then uncheck the box labelled 'Add verses as needed'. My personal recommendation is that you let Memverse convert verses to active status as your daily work load drops below your target, rather than adjusting them constantly yourself. But if you're a competitive Bible memorizer (you know who you are!) then you might want to adjust the number of pending verses yourself. If you do not include your version in each comment, it makes it more difficult for the volunteers helping to score. Omitting a reference or your version will cost you a point for each occurrence. You can receive a maximum of 12 points for each type of question. For details on the scoring for "recitations", please see below. 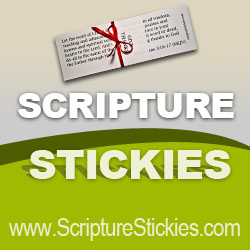 For the questions where you post a reference for the verse text given, you will receive four points for the correct book, four points for the correct chapter, and four points for the correct verse number. For example, if you posted 2 John 1:9 instead of 1 John 1:9, you would receive 8 points. Over half of the questions will be Primary verses and several may be drawn from the Junior verses. If you would like to help score, please let me know after we finish the quiz by posting a comment with the text "helpscore" in it. Otherwise, it is difficult to keep track of who is helping. If you indicate that you would like to help score, I will have information about how to score and will assign you to a few people. You can then look for their answers on the page (CTRL + F in many browsers allows you to search and find their name and comments) and tabulate them on your computer. When you have a final score for a person, you will please post it in a comment with their name. When all scores are returned, this post will be updated with that information. If you plan to be participating in the quiz or have any questions, please indicate that in a comment below (unless you have already done so on the other blog post). I also welcome any suggestions. Hope to see you there! Thanks. We start with 12 points, then evaluate the recitation: one point is subtracted for forgetting the reference at the beginning, another point is subtracted for using "He" in place of "God", two points are subtracted for switching "heavens" and "earth" (it was two one-word changes) and another point for leaving out "the" (second-to-last word). Additionally, we subtract a point because the response did not include the version. Please note that you cannot count more than 12 errors - i.e., no one ends up with a negative score on a passage. If you want to help score but have questions on how this works, please ask us for clarification. We are working on a new Memverse live quiz feature with automatic scoring for use in the next few weeks. Thanks Ben for running this quiz! Comment guidelines: Please stay on topic as this helps everyone who scores your answers. Let's see how many people we can have participating with as few comments as possible. :) Thank you for your cooperation! Please note: As Andy mentioned in the comments, please make sure you have 8 verses in your account (Learning or Memorized) so that your comments do not have to be approved. Congratulations everyone! We hope you enjoyed the quiz. May God bless each of you as you hide His Word in your hearts through the Bible Bee - something far more important than your score in the quiz. We'll let you know soon about future quizzes. Thanks. Phil Walker has compiled several documents of Bible Bee verses and prompterizations in NIV (1984 edition) and asked me to post them here. If you see any errors, please let us know in the comments and we will look into it. Again, thank you to Phil Walker to compiling all the prompterized verses and the Primary and Junior documents! I have always found having a list of all the verses printed out very helpful. We have finally added a long requested feature. Memory verses can now be classified as 'Memorized', 'Learning' or 'Pending'. You can manually set verses that you don't want to be working on to 'Pending' status by clicking on the verse on the 'My Verses' page. Then click on the verses status and after a few seconds it will change from 'Learning' (or 'Memorized') to 'Pending' and will no longer be included in your daily memorization schedule. If this sounds like a lot of work, the system is set up by default to work automatically. Once you set your time allocation on your 'Profile' page, Memverse will automatically add verses from your 'Pending' list once your work load (the number reported at the end of each memorization session and on the 'Memverse Today' tab on the home page) falls below your time allocation. There are currently a few limitations to the system that will be fixed over time: If you're already memorizing a passage and you add new verses into that passage then the verses will be automatically reviewed as part of the passage and will no longer be classified as 'Pending'. Whether you plan to use this feature or not, it is important that you set your daily time allocation so that Memverse knows roughly how many verses to present you with each day. If you currently have many more verses than you can handle, then this would be a good time to go and set some of them to 'Pending'. You can receive a maximum of 12 points for each type of question. I hope to score very much like the Bible Bee for errors in the verse "recitations" (the middle five questions). For the questions where you post a reference for the verse text given, you will receive four points for the correct book, four points for the correct chapter, and four points for the correct verse number. For example, if you posted 2 John 1:9 instead of 1 John 1:9, you would receive 8 points. If you would like to help score, please let me know after we finish the quiz by posting a comment with the text "helpscore" in it. (I plan to help orchestrate scoring for both quizzes.) Otherwise, it is difficult to keep track of who is helping. Having the "experience" of doing this once before, I think I have a better idea of how to do it. If you indicate that you would like to help score, I will have information about how to score and will assign you to a few people. You can then look for their answers on the page (CTRL + F in many browsers allows you to search and find their name and comments) and tabulate them on your computer. When you have a final score for a person, you will please post it in a comment with their name. When all scores are returned, this post will be updated with that information. If you plan to be participating in the quiz or have any questions, please indicate that in a comment below (unless you have already done so on the other blog post). I also welcome any suggestions. We are working on a new quizzes section of the site to make this even better in the future. Hope to see you there! Thanks. Please note: Sarah will be running the Friday, June 24th quiz. Thank you! Comment guidelines: Please stay on topic as this helps everyone who scores your answers. Thank you for your cooperation! Congratulations to all of you! Good job! Like we said last time, the most important thing is not your score in a quiz, but hiding God's Word in your heart. I pray all of you are doing that and hope to see many of you next week! Over half of the questions will be Primary verses and a few will be drawn from the Junior verses. If you would like to help score, please let me know. Scoring the verse "recitations" will be the most difficult. If you plan to be participating in the quiz or have any questions, please indicate that in a comment below. Hope to see you there! Thanks. UPDATE: Thank you to everyone who participated and especially to those who helped score: Chelse Brun, Zachary Baas, vburk, SavedByGrace, and Phil Walker. Congratualations to all! I had a lot of fun with this quiz and trust you enjoyed it as well. Keep hiding His Word in your hearts! Note: My apologies for any scoring errors. If you would like me to double-check on your score, please let me know. Thanks. First, I'd like to thank those of you who are helping verify verses. It truly is a tremendous help and has freed up our time to work on other components of the site. At the moment, we are short of people to help verify the New American Standard version (NAS). If you're using that translation, and if you're the type of person with high attention to detail, then please consider helping to check that translation. Just visit the verse verification page and follow the instructions. The page does take a while to load since with all the new Bible Bee verses being entered we are struggling to keep up. "Howbeit when He, the Spirit of truth, is come, He will guide you into all truth: for He shall not speak of Himself; but whatsoever He shall hear, that shall He speak: and He will shew you things to come." Charles Spurgeon once said that discernment is not a matter of simply telling the difference between right and wrong; rather, it is being able to tell the difference between right and almost right. Just as our adversary the devil masquerades as an “angel of light” hoping to deceive whom he may (II Corinthians 11:14), so his schemes are often very aptly disguised and it takes a heart and soul saturated with the Holy Ghost and God’s Word to discover the lies which are hidden beneath the surface. It took less than 50 words to trick Eve into taking forbidden fruit, and it was all because she failed to look any further than the few grains of truth scattered about the surface what Satan was telling her (Genesis 3:1-5). As James reminded us in his epistle, “whosoever shall keep the whole Law, and yet offend in one point, he is guilty of all.” ( 2:10 ) In other words, you have to walk in the whole truth or you’re not walking in truth at all. If we add to it, we implicate its insufficiency apart from us (Proverbs 30:6); if we diminish from it, we suggest that what God gave us is inaccurate and flawed (Deuteronomy 12:32). “For ever, O Lord, Thy Word is settled in heaven. The truth cannot be changed. It is “forever settled in heaven”, and must be either accepted or rejected by all who hear it (Psalm 119:89; John 17:17). As we memorize Scripture together here on memverse, we do far more than just get into the Word; we are allowing God to actually get the Word, and thus the truth, into us! Our next task is to allow that truth to work its way back out in our everyday lives, being doers of the Word and not hearers only (James 1:22). Accuracy test results - at the end of the accuracy test the final results page will now show you the difference betweeen what you entered and the actual memory verse text. It shows every difference so even minor differences that wouldn't result in you getting the question wrong (e.g. incorrect capitalization, omitting dashes) are shown. Reset your schedule - if you've ever gone on vacation you'll know that returning to hundreds of overdue verses can be quite daunting! On the home page, on the 'Memverse Today' tab, you can now reset your schedule. Anytime you have too many overdue verses you will be given the option to re-allocate those verses over the following few memorization sessions. This is for those of you who, like me, prefer to have a sense of completion each day as you gaze fondly at your progress chart. I want to thank up front, Emeka Rajis (website) for the brilliant job he did redesigning the site. He did it free of charge so please give him a heartfelt thank you in the comments below. Second, as with any change of this magnitude, there are going to be bugs that we couldn't catch. If you find one, please click on the 'Feedback' tab on the right of the screen to let us know about it. Please be sure to include your browser and version e.g. Firefox 3.6, Internet Explorer 8 etc. so that we can recreate it and get it fixed as quickly as possible. I’m someone who believes it’s important, not only to memorize Scripture, but to memorize It as accurately as possible when contrasted with the original text of your translation. Though it’s usually easy during the first week or so after memorizing a verse to quote it perfectly and without hesitation, I’m sure most of you have noticed that, over time, it becomes increasingly difficult to maintain that word-perfect level of accuracy or even to remember where the verse is found. If you’re someone who doesn’t concern yourself too much with whether you say “Jesus Christ” or “Christ Jesus”, then this post may not be for you; but if you’d like to improve your ability to recall verses with 100% accuracy then I'd like to share with you a few things I have found helpful in my own personal experience over the past year. First of all, take full advantage of Memverse’s Accuracy and Reference Recall tests. These features are specifically designed to make each one of your memory verses stick in your mind firmly, and present you with a wider range of verses than does the Practice and Memorize sections of the site. This forces you to rely solely on good memory skills without being given the preceding or upcoming verses, and lets you know exactly where you stand by presenting you with an updated calculation of your accuracy at the end of each test. If you are shooting for 100% accuracy all across the board, then I would personally recommend taking the Reference Recall test once each day for every 100 verses you’ve memorized and the Accuracy Test about 3 or 4 times per month (more or less). Secondly, I have found Memverse’s ability to print out your memory verses for you amazingly helpful in keeping up with those often obscure passages that seem to elude the grasp of your memory. I keep an updated list of all my verses in a three-ring binder (using sheet protectors), and try to review at least two Scriptures from each page daily in addition to my regular memory sessions right here on Memverse. Keeping a physical copy of your memory verses is also perfect for those times when you are away from the Internet for long periods of time but would still like to stay on top of your memory work. Finally, over the past few weeks I have discovered a brand new way to speed up the learning process when you’re committing new passages of Scripture to memory: simply write down your new verses in a pocket-sized journal and carry them with you when you’re away from home. This allows you to meditate in God’s Word day and night (Psalm 1:2) regardless of where you are and without having to face the frustration of forgetting your most recent verses while trying to review them on your way to work! You can usually get them quite reasonably, and I have found this particular journal by Markings publishers to be ideal for recording and reviewing Scripture when you don't have access to your Memverse account. It contains an attached ribbon marker, firm leather covers, and a pocket in the back to store 3.5 x 5 inch notecards and other small, paper items. I got mine at Wal-Mart, but they are also available on Amazon. So what about you? What strategies have you developed (other than using memverse, of course) to make your your memory verses stay firmly planted in your heart and mind? I'm sure we could all benefit from your experiences and would love to hear what you have to say on the subject. The Memverse Referral Competition ends in about two weeks. Now is a great time to refer people because they're guaranteed to still be classified as "Active" in two weeks and they're still be able to refer new members themselves.